There is something so irresistibly wintery about peppermint. The cool sensation of this herb is the taste equivalent of skiing through a field of powder snow. Even just a small hint of peppermint's refreshing flavor reminds me of the holidays. 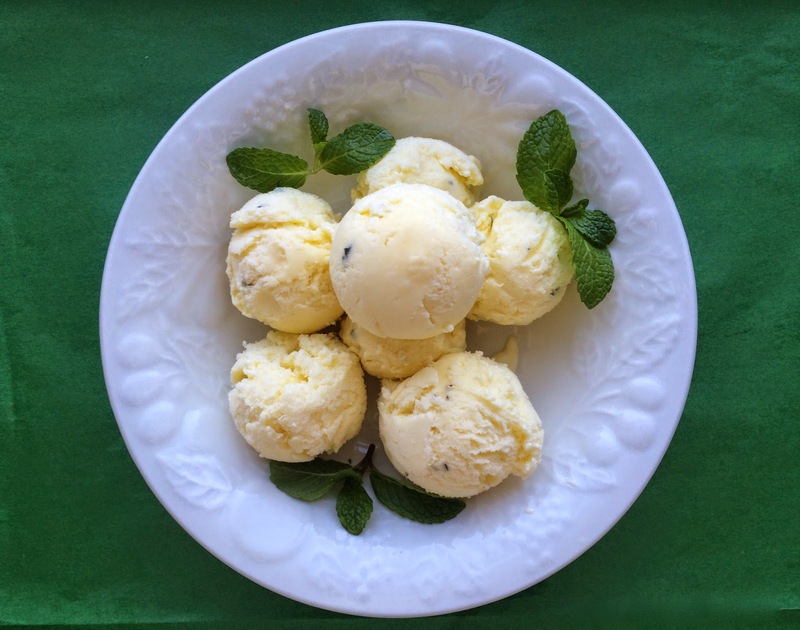 To celebrate the season, create your own fresh peppermint ice cream. It is surprisingly easy to do, with a few simple ingredients. The key to success is infusing the mint leaves overnight. 1.) Wash and dry mint leaves. Tear into small pieces, soak overnight in the milk and cream. 2.) Mix egg yolks in a bowl with 3 tablespoons of sugar. 3.) Use a whisk to blend until the mixture becomes lighter in color and frothy. 4.) Strain the mint leaves from the milk/cream. 5.) Add the remaining 3 tablespoons of sugar to the milk/cream. 6.) Simmer the milk mixture in a saucepan on medium heat. 7.) Remove from heat, then pour a small amount of milk mixture over the egg yolks. 8.) Stir together and then pour back into the saucepan. 9.) On low heat, simmer until reaching a low boil. 10.) Allow to cool down and then place in ice cream machine.